MENDON, Mass. /Massachusetts Newswire/ -- Southwick’s Zoo is excited to announce their new 2018-19 Winter Wonderland event and community outreach program. We are eager to give back to our communities by offering visitors to our Winter Wonderland event a $5 discount on admission for bringing an unwrapped toy, canned good or non-perishable item. MENDON, Mass. 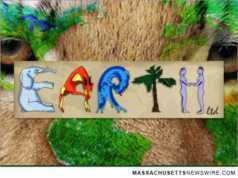 /Massachusetts Newswire/ -- Earth Bash is non-profit EARTH Limited’s biggest event of 2014. Guests can spend a special evening at Southwick’s Zoo in Mendon, Mass. and enjoy food, drinks, and entertainment. All of the proceeds will go towards EARTH Limited, and their mission to educate the public about animal conservation and support environmental programs. MENDON, Mass. /Massachusetts Newswire/ -- Fans of Southwick’s Zoo know how much fun it is to spend a day observing and learning about exotic animals. But most don’t get to experience the special serenity that comes over the zoo after hours, or view the animals that are more active after dinnertime. On Friday, June 20, 2014, Southwick’s Zoo invites patrons to embark on an evening adventure from 6 to 9 p.m.
MENDON, Mass. /Massachusetts Newswire/ -- Southwick’s Zoo recently opened for the season, and has been bustling with visitors ever since. 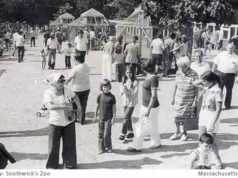 Do you prefer to visit the zoo when it is less crowded? On Saturday, May 17th, members of EARTH Limited, an environmentally-conscious non-profit located inside Southwick’s Zoo, will have the opportunity to visit the zoo at no cost from 6 to 8 p.m.